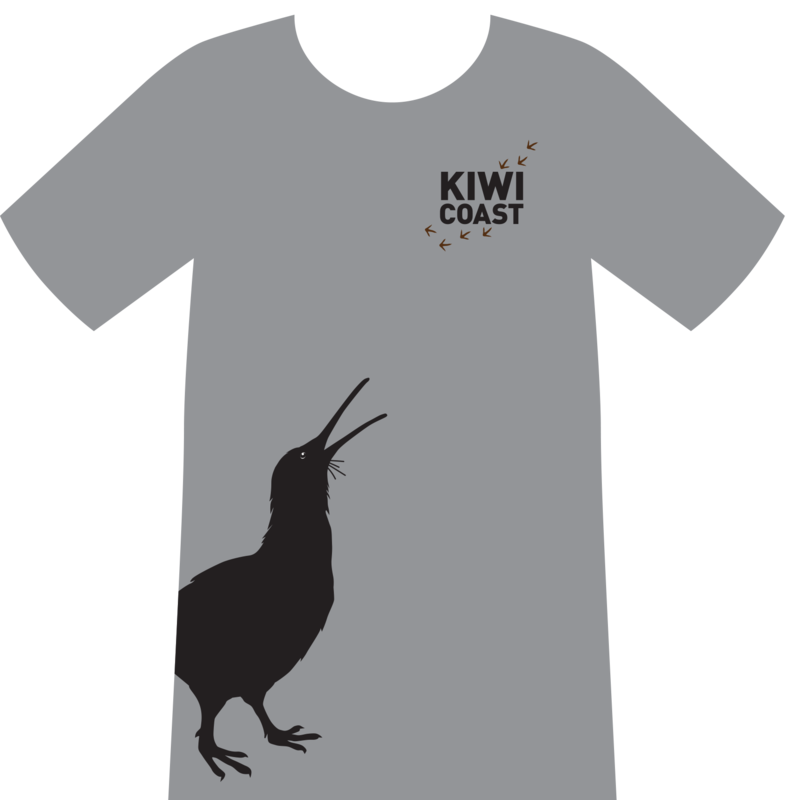 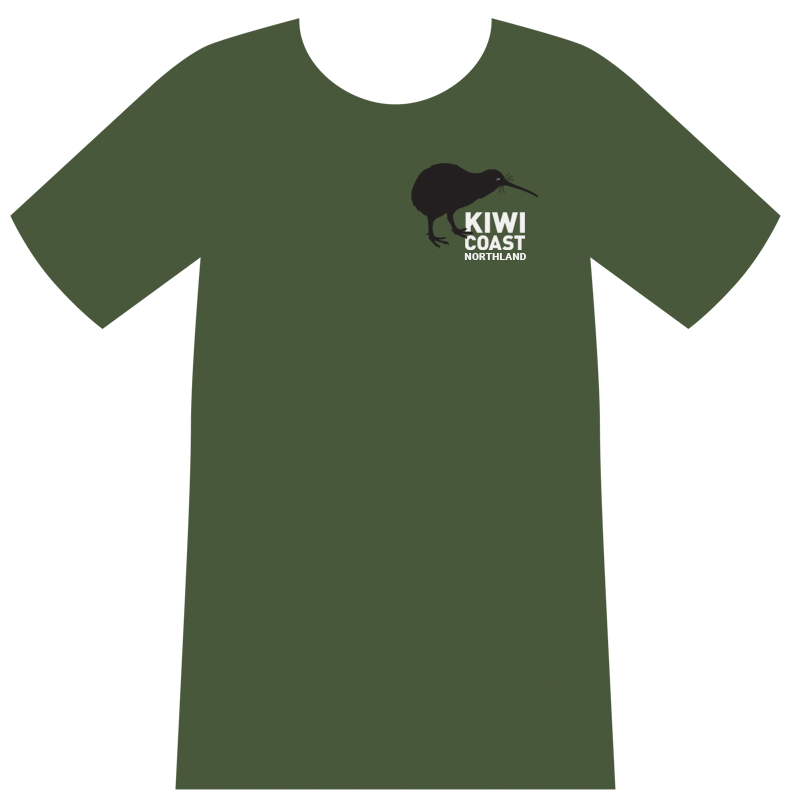 Features Rua the kiwi calling on the front of the t-shirt and the Kiwi Coast logo. 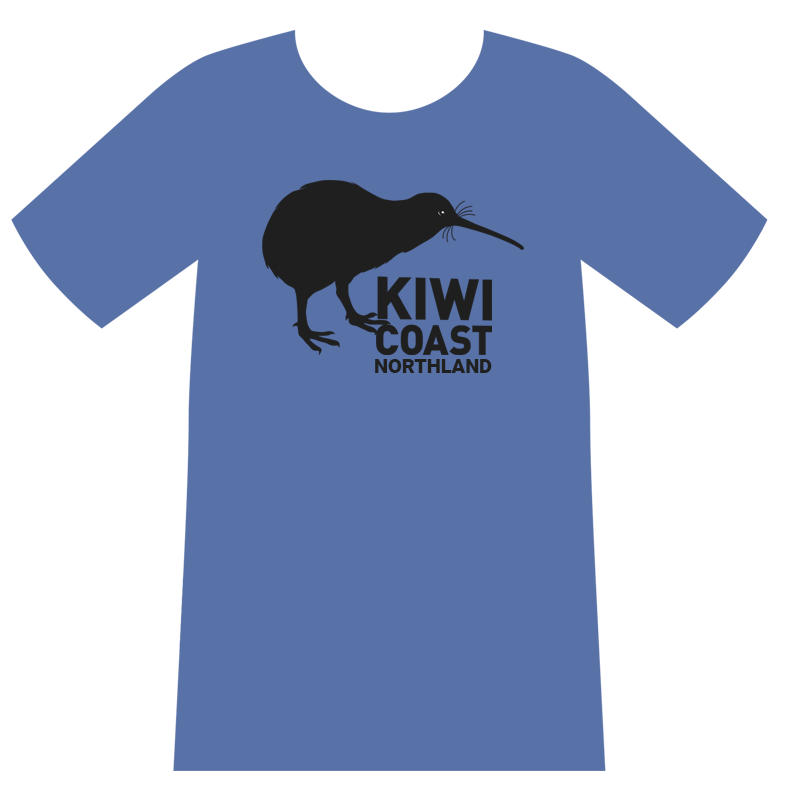 Features Rua the kiwi calling on the front of the t-shirt and the Kiwi Coast logo. 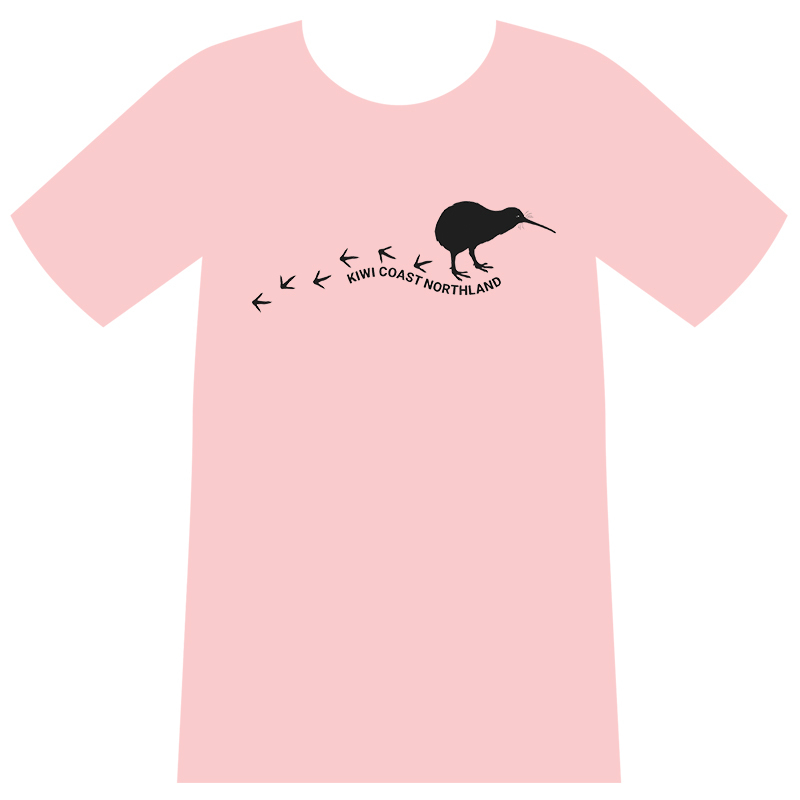 Printed on high quality 100% cotton grey t-shirt.